GENEVA: Iran executed three Iranian Kurdish men accused of belonging to a militant group and taking part in attacks against civilians and security forces in the Kurdish region of western Iran, the judiciary’s news service reported on Saturday. The executions took place despite a call on Friday for them to be halted by two U.N. human rights special rapporteurs, Javaid Rehman and Agnes Callamard, who said in a statement that the men had not been given a fair trial. Amnesty International said the accused men had been denied access to their lawyers after being arrested and had said they were tortured into making confessions. 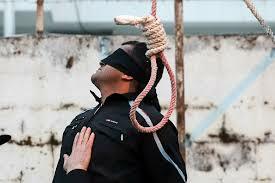 “We are horrified by the news that the Iranian authorities have executed these men, despite widespread condemnation of their death sentences and calls from U.N. human rights experts and other bodies to halt their executions,” Philip Luther, Amnesty International’s research and advocacy director for the Middle East and North Africa, said in a statement on Saturday. The judiciary’s Mizan news service said Loqman Moradi and Zanyar Moradi were accused of carrying out an attack in the western town of Marivan in July 2009 that killed three people, including the son of a prominent cleric. Ramin Hossein Panahi was accused of participating in an assault targeting security forces in the town of Sanandaj in June 2017. Iran has one of the world’s highest execution rates. According to Amnesty International, 51 percent of all recorded executions in 2017 were carried out in Iran.